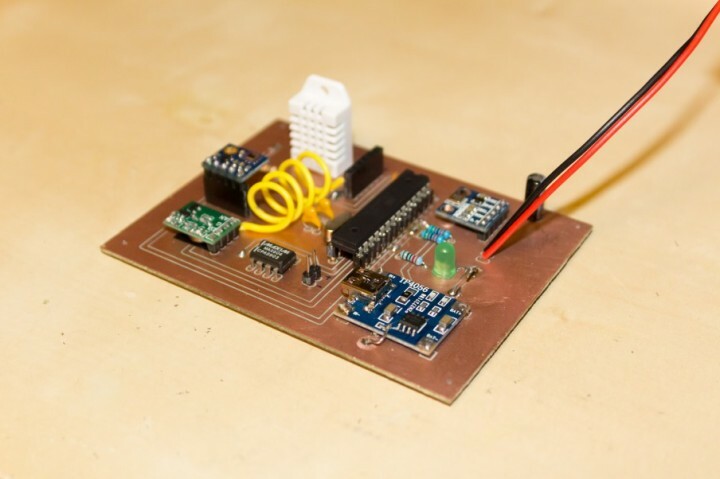 Do you wonder how to build a personal weather station with data logging capability? 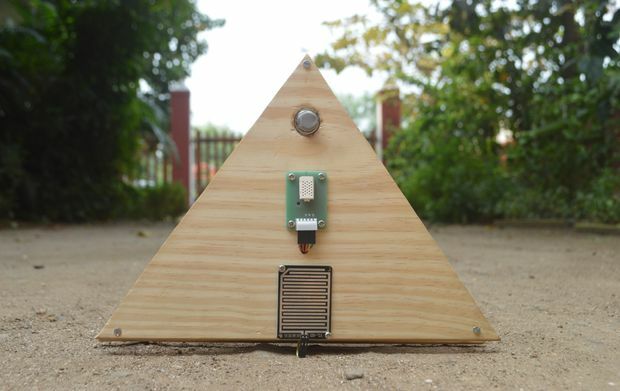 Well, Jesus Echavarria, a electronic engineer and DIY hardware maker from Spain, has shared the details of his design of a very professional-looking, full-featured, and portable weather data recorder that is capable of recording ambient temperature, humidity, and light level into a SD card along with a time stamp. 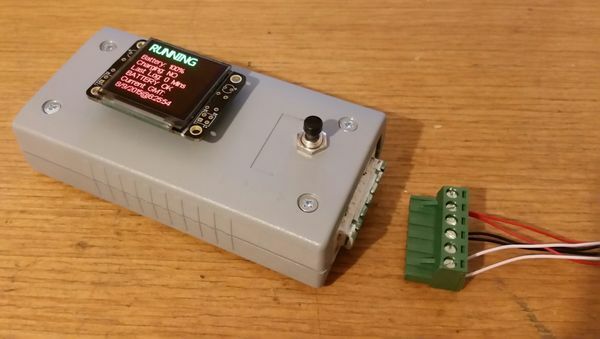 The datalogger is based on the PIC18F2620 microcontroller and has options to be powered with a rechargeable 3.7V lithium battery as well as from a USB port. It also features a Lithium battery charger circuit on board using Microchip’s fully-integrated MCP73832 Li-Ion charge management controller IC that is configured to provide a charging current of ~200mA. Two on-board LEDs provide visual indications about the battery condition, such as fully charged or under charging. On the sensor part, the project uses HDC1050 for temperature and humidity measurements, and TEMT6000X01 for ambient light sensing. The time keeping is performed using M41T00SM6 RTC chip with a separate back-up power supplied from a coin-cell battery. Two push buttons and two extra leds used in his design to provide a minimal user interface, and most of the configuration part (like time and date settings) is done through a PC terminal program using a command-line interface. 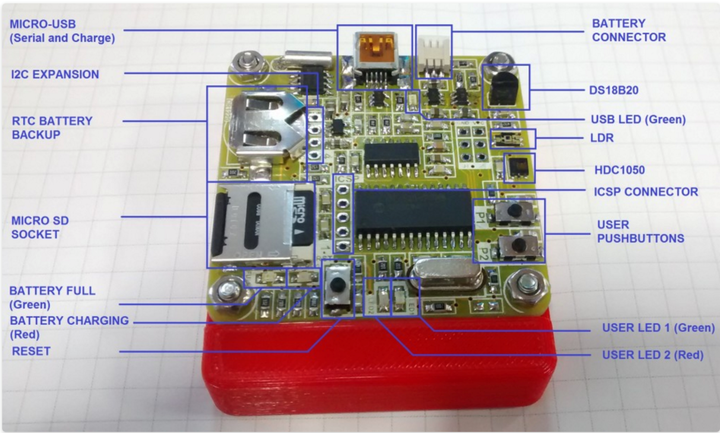 The MCP2221 based USB-UART bridge provides the communication interface between the PC terminal program and the PIC microcontroller. 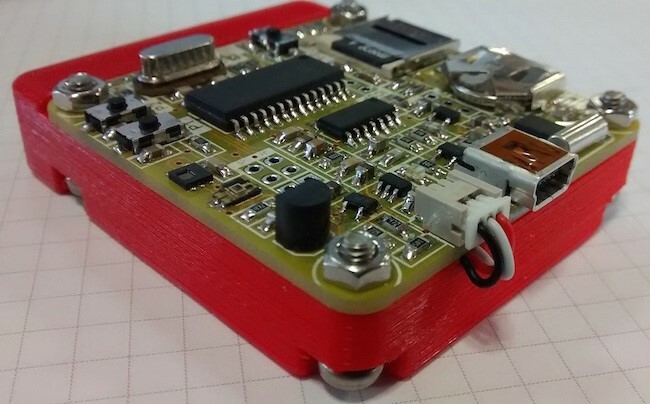 Jesus also shares the design files of the 3D printed case he made for his data logger to get a more professional look. Electronics enthusiast and hardware maker.